Larry and Debbie Hatfield hear it all the time. the saying goes––The Real McCoys. Larry and Debbie met more than 25 years ago and are, admittedly proud to say, more in love today than they were all those years ago. They often get asked how they are able to spend so much time together as life and business partners, but Larry and Debbie wouldn’t have it any other way. “We are simply better together,” Larry says. Whether antique hunting in search of the next rare gem or as a real estate team in Midland, Larry and Debbie are the perfect complement to each other’s personalities. Larry is a straight shooter and calls it like he sees it. He is the kind of person who believes in standing on his own principles, which are typically founded on strong ethical values. Debbie brings a warm, friendly personality and a knack for making someone feel right at home from the very first meeting. She is a great listener and someone who bends over backwards if it means helping someone else. 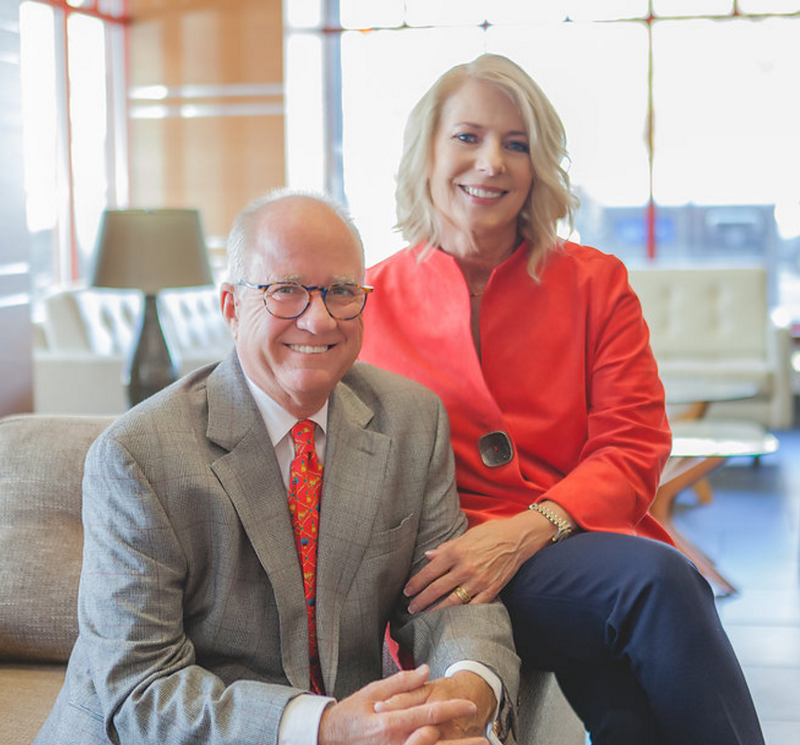 Larry and Debbie’s combined strengths and genuine approach is why people turn to them time and time again when it comes to one of the largest decisions a person can make––the purchase or sale of a home. With almost three decades of experience, Larry and Debbie are a recognizable household name as a sought-after real estate team in Midland. They have called Midland home for most of their lives and have an intimate knowledge of the area and the people who live here. From initial consultation to closing, Larry and Debbie navigate you through the home buying and selling process with professionalism and honesty. For sellers, Larry serves as a strong advocate on your behalf when it comes to negotiating the terms of your sale for maximum return. He stages your property for the greatest impact and uses cutting edge marketing strategies to get exposure for your home. For buyers, Debbie takes the time to truly listen to your needs and wants is relentless about helping you find your dream home. Together, Larry and Debbie are a dynamic duo that sincerely cares about you and your goals. When it comes time to make a move in Midland, Larry and Debbie Hatfield are The Real McCoys in Real Estate. Contact them today for a private consultation.